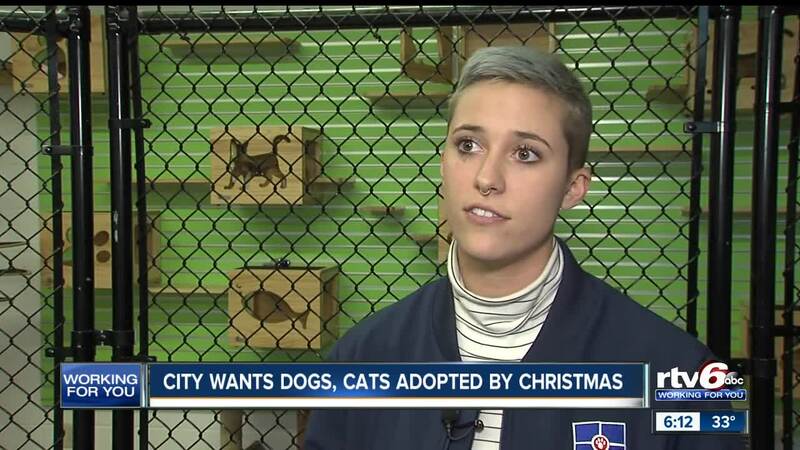 INDIANAPOLIS -- Indianapolis Animal Care Services is in desperate need of help to clear some of their cages as the number of animals they are taking in has far exceeded the space they have available. The shelter currently has nearly 1,000 animals under its care, but it only has the capacity to hold about 600. And the shelter continues to receive dozens of drop-offs each day. To help these loving animals find homes and making more room the shelter is offering free adoptions through Sunday, Sept. 16. If you're not in a position to adopt an animal, there are several other ways you can still help. IACS is also in need of fosters to help free up kennel space for new animals and volunteers to walk dogs, feed them and help clean up the shelter. Each adoption includes a microchip, vaccines, spay/neuter services and FIV/feline leukemia testing. IACS requests that you arrive at least one hour before closing if you would like to adopt. The shelter is closed on all City holidays.